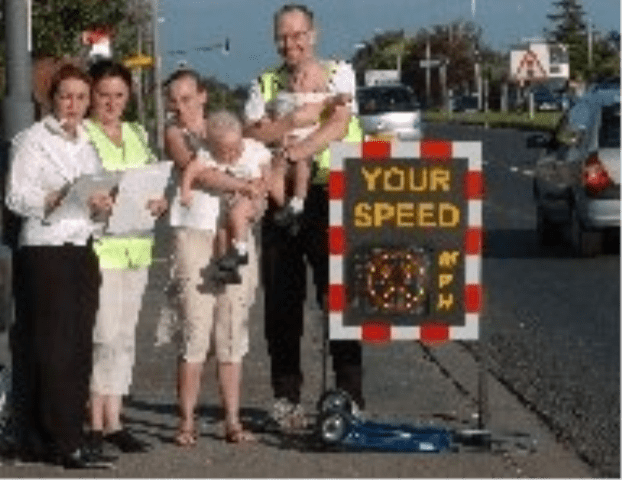 Concerned Leeds and Wakefield Road Residents Action Group LWRRAG members have been out monitoring traffic over the last few weeks, including some who did a stint on bank hol Monday, that’s what I call commitment! The use of the SID did slow vehicles down, which shows that if such measures as speed cameras were introduced, it would make a significant difference. The use of the SID also highlighted our campaign once again with an article in last night’s Yorkshire Evening Post.